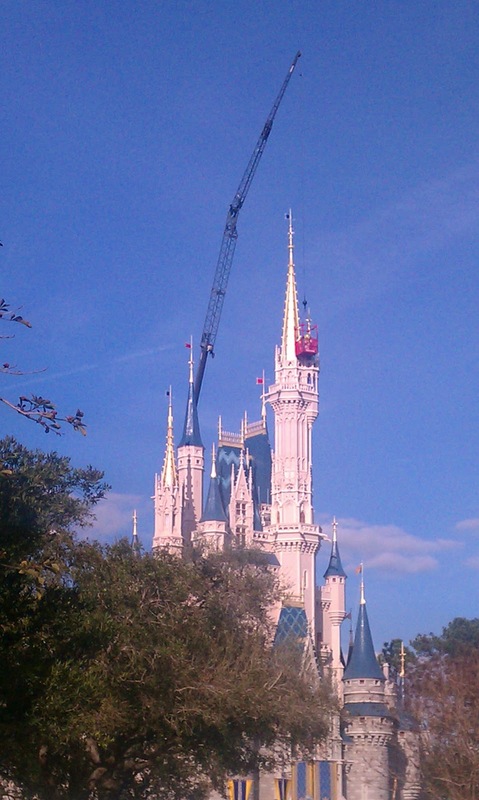 Magical Things Happening at Magic Kingdom! I just wanted to share some quick shots I took while at WDW’s Magic Kingdom recently! 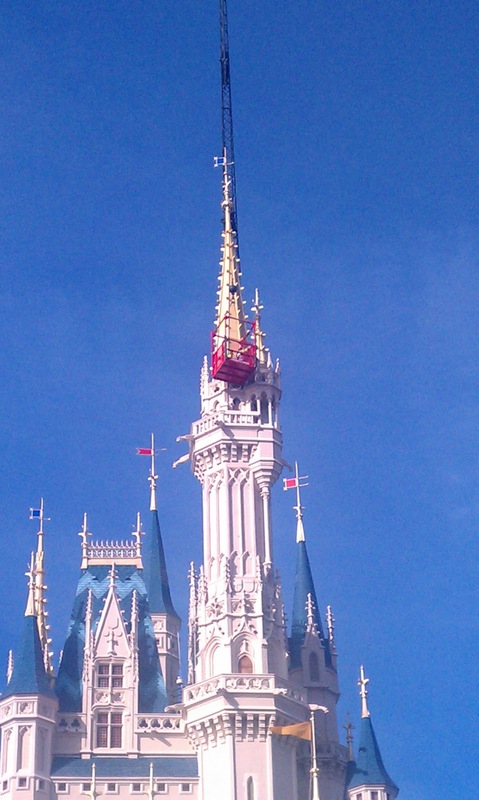 Looks like they are working their magic and touching up the castle! 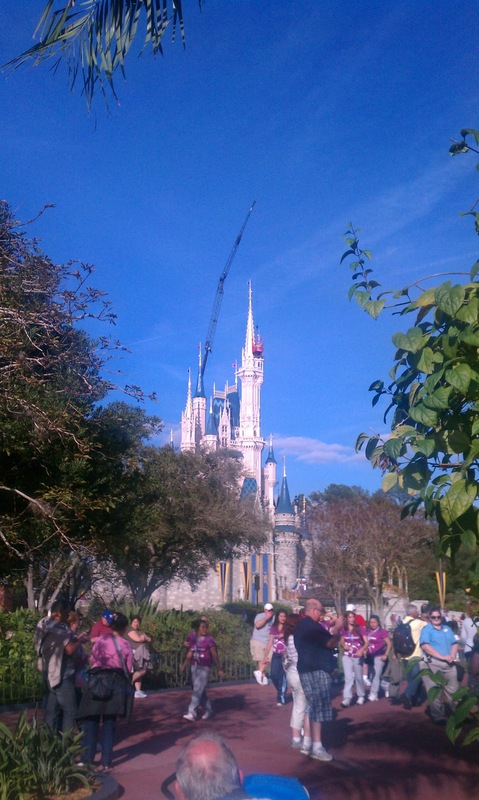 Now I am ok with heights and all, but I think it’s safe to say the gentleman up there on the crane has a LOT of pressure not to mess anything up while everyone is watching and looking on down below! 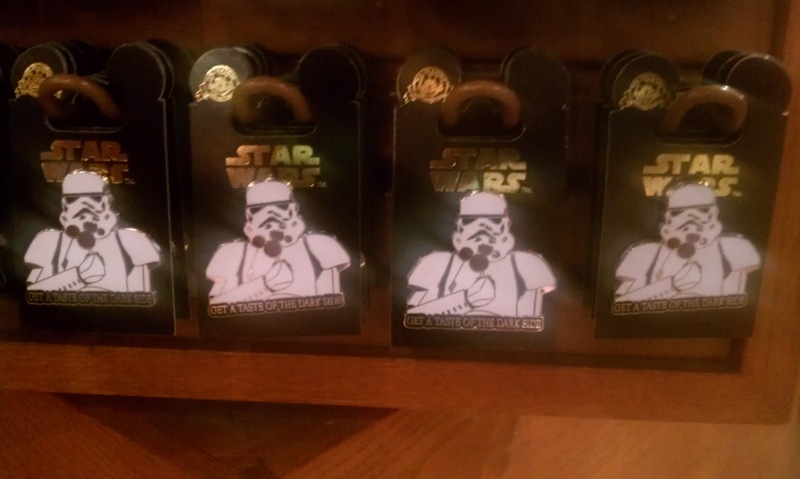 And of course, I have to share the cutest Star Wars pin I saw while I was there! Anyways, I just wanted to share! It was such a beautiful day out, and the pictures came out so well! If you don’t know already, they are still working diligently in the back of Fantasy Land to work on the new expansion that is scheduled to open up in the Fall. I cannot wait to see how that turns out! Would you be interested in seeing picture updates of the area I take when I visit?